OSHA (Occupational Safety & Health Administration) recently updated their Hazard Communication Standard to conform with the United Nations’ Globally Harmonized System of Classification and Labeling of Chemicals (GHS). These updated rules provide a globally standardized approach to chemical safety, including detailed criteria for product MSDS (now called Safety Data Sheet or SDS), as well as new product labeling requirements. The intention is to facilitate enhanced workplace comprehension of product chemical safety, which will help to ensure appropriate handling and safe use of workplace chemicals. 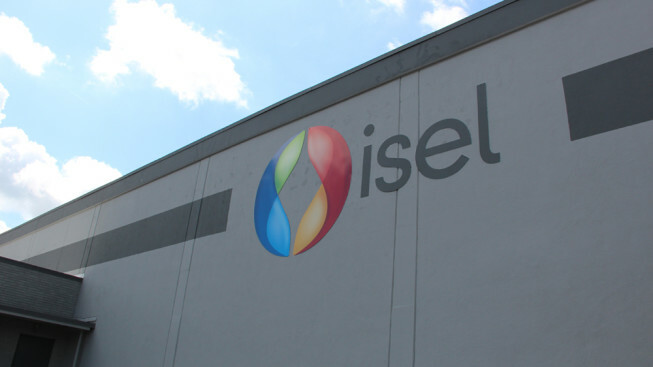 How Does Isel Plan To Comply? There is no effort required on your part. On or before the June 1st deadline, you should see an email from Isel detailing how to download your new SDSs from your customer profile. In addition, we will be automatically adding the new secondary GHS label to all containers. As a trusted manufacturer of industrial lubricants, Isel takes the new GHS requirements seriously. We’ve always strived to provide our customers with the most accurate information, and the latest regulations are designed to enhance the safety of those who utilize our products. For more information on these new regulations, please don’t hesitate to contact us today. Q: What about my current stock or orders shipped prior to June? A: All lubricant distributors have until December 1, 2015 to comply with the new product label regulations. This means you have until that date to sell or use product labeled prior to June 1st. After that date, all previously printed labels must be disposed of and completely redone to include GHS required information. Q: What is the difference between a SDS and MSDS? A: The Current Isel MSDS and the new Isel SDS will remain essentially the same. The revised GHS standard requires the same 16-section format the current Isel MSDS uses. The information on the new SDSs are required to be presented using specific headings in a specified sequence. Q: How will I download my new SDS? A: Via the product page on our internal order management system. The same link that now allows you to download your product MSDS will be swapped with a link to download your new SDS. Q: Which of my products are affected by GHS? A: All Isel product MSDS and labels will be affected. Q: I already have safety information on my label or I have a specific format I want on my product packaging, what should I do? A: Please contact your Isel representative or call us at 1-800-503-9533 and we will be happy to work with you to meet your needs.